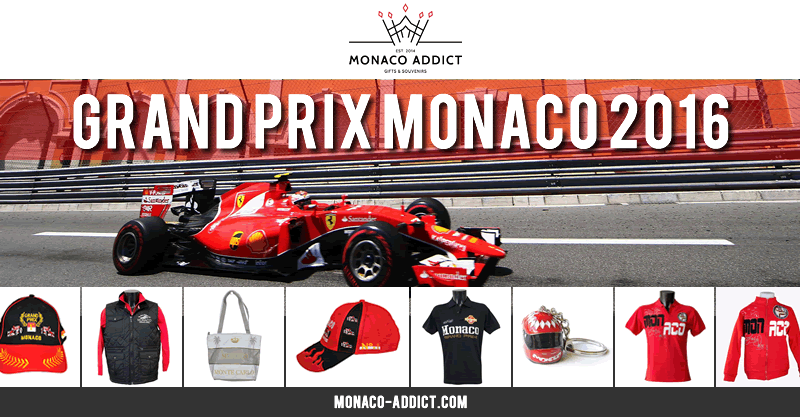 MONTE-CARLO, 02/28/2016 - Monaco Addict, the premier online shopping website for Monaco F1 Grand Prix memorabilia, is prepping up for the year’s biggest event in the Principality which will run from Thursday, May 26th through Sunday, May 29th, 2016. Once again the fever is rising in Monte-Carlo as the most spectacular F1 race is closing on as FIA World Championship contenders Lewis Hamilton, three-times winner Nico Rosberg, and Sebastian Vettel will battle it on to win the F1 season’s most prestigious title. For all Monaco Grand Prix-related event organizers, now is the time to get ready by grabbing Monaco GP goods at the best price, to spruce up their venues and stockpile GP-branded memorabilia for their attendees and guests to take home. The pressure is also on organizers and Monaco GP party organizers to prepare their accommodations and yachts with first-rate goodies to primp their staff in Monaco GP colors, to be purchased on-site, or given away as welcome gifts for their hosts. “It takes six weeks just to prepare the race track in downtown Monte-Carlo, but by then it will already be too late to purchase souvenirs and clothing at the best rates,” said Linda Boes, co-founder of Monaco Addict, “that’s why we urge our customers and Grand-Prix spectators to do their shopping now rather than later, especially since our prices are unbeatable compared to the local shops,” she added. 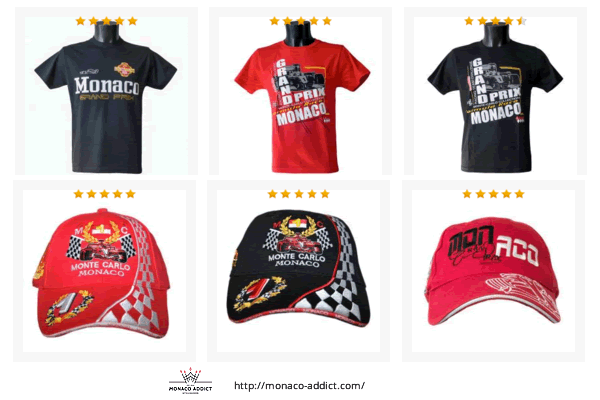 As the best place to get Monaco GP memorabilia, Monaco Addict offers a flurry of garments (tee-shirts, caps, hoodies, shorts pants…) and accessories (mugs, key holders, magnets) that will make any fan experience complete. All Monaco Addicts proudly displays the best of the Monaco brands (tee-shirts, bags, magnets, key rings...) inspired by the Formula One Grand Prix, the stunning city features and its French Riviera surroundings, as well as the high-profile Castle, lavish seaport, mind-blowing casinos and world class resorts.